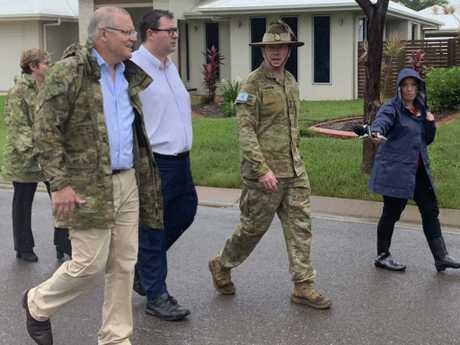 Mr Morrison was filmed touring the diaster zone earlier today, wearing a camouflage outfit typically worn by soldiers serving in the army. 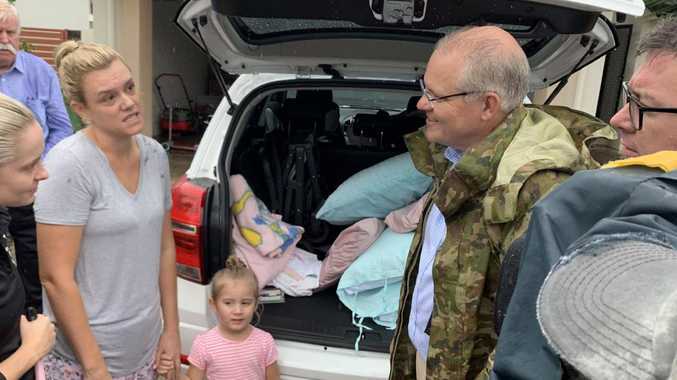 The prime minister, who also spent time in Tasmania's bushfire disaster zone earlier this week, smiled at reporters as he drove past in the tank on his way to Townsville's army base. The decision to wear camouflage left some people scratching their heads and questioning why the PM opted for the uniform. It's understood Mr Morrison was put in the uniform by army officials. Hughie Morton, 21, and Troy Mathieson, 23, were last seen at Townsville Shopping Centre, near floodwaters, just before 4am Monday morning. Police had been called to the shopping centre on Ross River Rd half an hour before to reports of an attempted break in at Dan Murphy's. Hughie Morton and Troy Mathieson have been missing since Monday. The pair had not been located by Monday night despite extensive inquiries with family and friends, and a search of floodwaters and the area has begun as a precaution, police say. 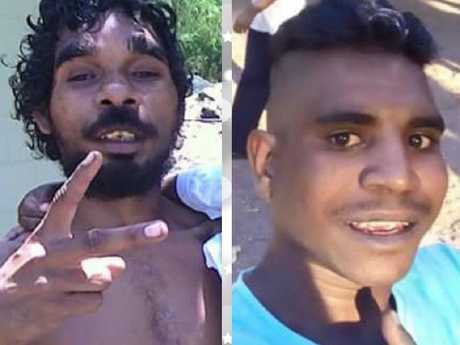 "There is a possibility that they have entered flowing water near the Dan Murphy's," Townsville Police District Duty Officer Ian Wilkie said in a press conference yesterday. "Police are conducting inquiries attempting to locate those persons. If they have entered floodwaters we have concerns for their welfare." "Last spotted at Dan Murphys Aitkenvale... They were also seen swimming in the floods near Stocklands," the post read. Thousands of other people have been evacuated and hundreds of homes inundated by water. An emergency alert was issued for Bluewater, Bluewater Park, Toolakea and Saunders Beach, northeast of Townsville, early on Tuesday morning. Residents were advised to move to higher ground. 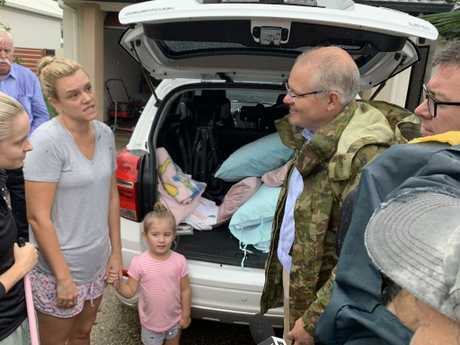 The one-in-100-year deluge has caused catastrophic flooding as rivers and creeks burst their banks, spilling water through streets and consuming entire suburbs. The vigorous monsoon trough dumping the rain has begun moving south but it is unpredictable and dangerous conditions are expected to continue for at least the next 24 hours. Late on Monday, a severe weather warning remained in place from Ingham to Mackay, and west to Cloncurry, although lower than expected rainfall throughout Monday has eased conditions in Townsville. Further heavy rainfall was likely to develop in the severe warning area today, however, with six-hourly rainfall totals of between 150mm and 200mm possible, the Bureau of Meteorology said. 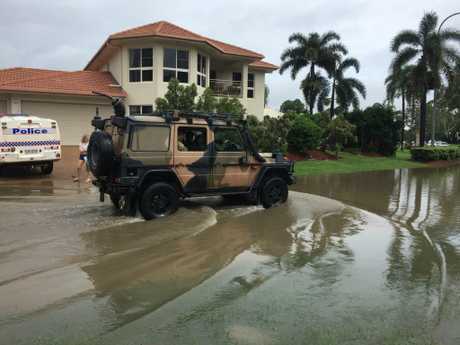 "Mackay could get some heavy falls over the next few days with some possibility of flooding," meteorologist Jess Gardner told AAP. Inland, the rains have brought "tears of happiness" to the parched outback where drought conditions have brought many graziers to their knees. Dry rivers were again flowing where a week ago it was just dust, Cloncurry Mayor Greg Campbell said. "It is a great relief to the community. The old-timers always say the only way to break a drought is with a flood," he said.